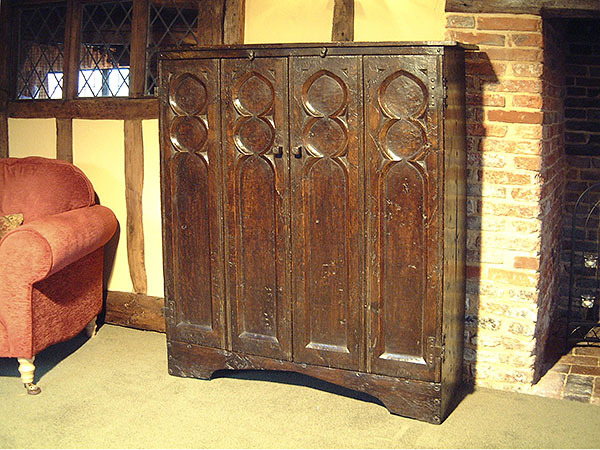 Medieval style oak hutch, or aumbry, to house a flat screen TV and ancillary items. Photographed in the sitting room of our clients historic timber framed house in Kent. 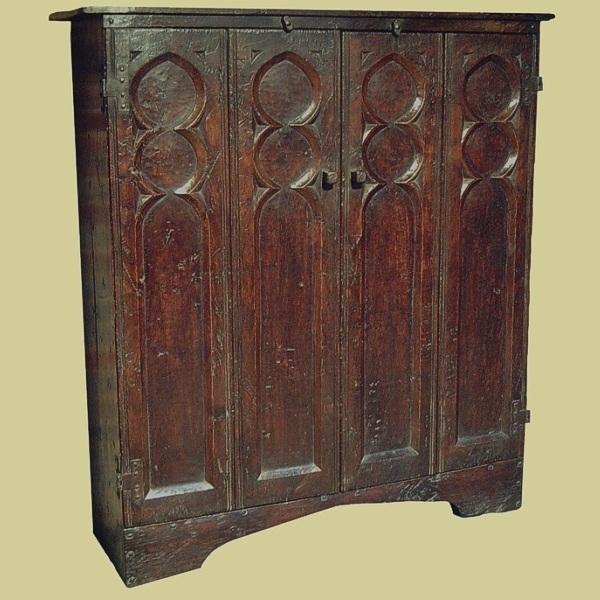 The Gothic tracery carved bi-fold doors, hinge right round to the cupboard sides and are kept closed by simple period style oak turnbuckles.